Studio Fuksas has revealed visuals of the International Congress Center Jerusalem, which will form the heart of a mixed-use complex in Giv’at Ram, Israel. Led by Dezeen Awards judge Doriana Fuksas and her partner Massimiliano Fuksas, the building in Jerusalem will be the “largest conference centre in the middle east” when it completes. 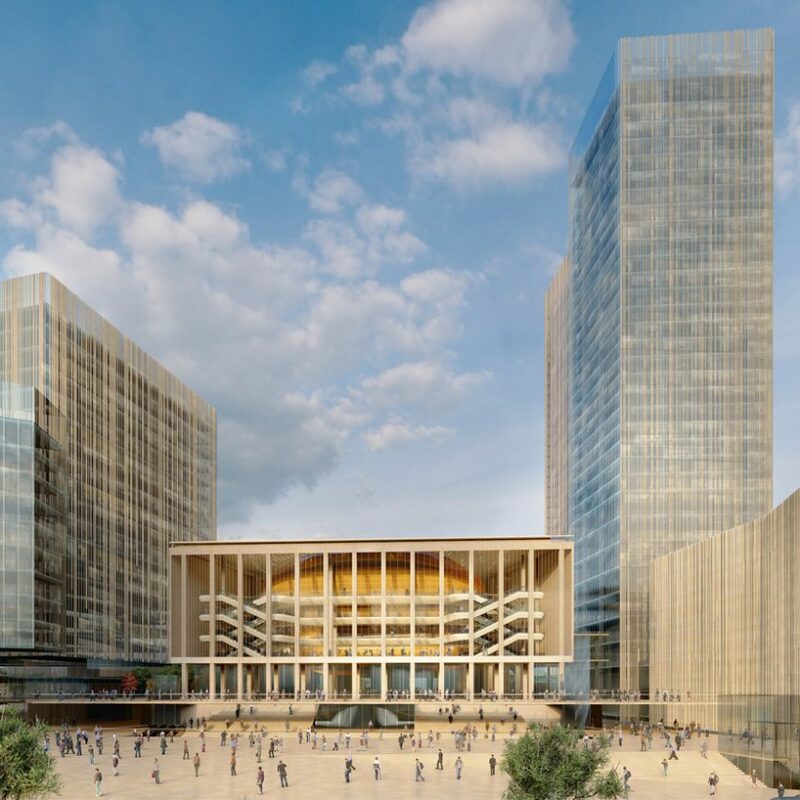 The International Congress Center Jerusalem (ICC Jerusalem) will form the centrepiece of a 270,000-square-metre scheme designed by Studio Fuksas, which will be built within the city’s new central business district. “The ICC Jerusalem is located in the City Gateway, a district characterised by the presence of financial, commercial, cultural, tourist and entertainment activities, destined to become the new gateway to the city of Jerusalem,” the architecture studio explained. ICC Jerusalem will be built around the Ussishkin Hall Building, an existing concert hall and convention centre in the city. 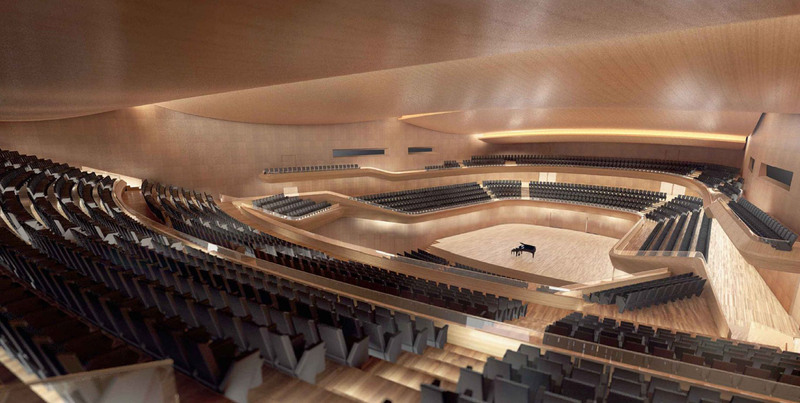 The Ussishkin Hall Building will also be redesigned by Studio Fuksas as part of the scheme. ICC Jerusalem will be characterised by slender columns topped by a giant glass facade, which will frame criss-crossing staircases and elevated walkways inside. The rest of the building will be wrapped in a local stone, which the architecture studio hope will help it integrate perfectly into its context. 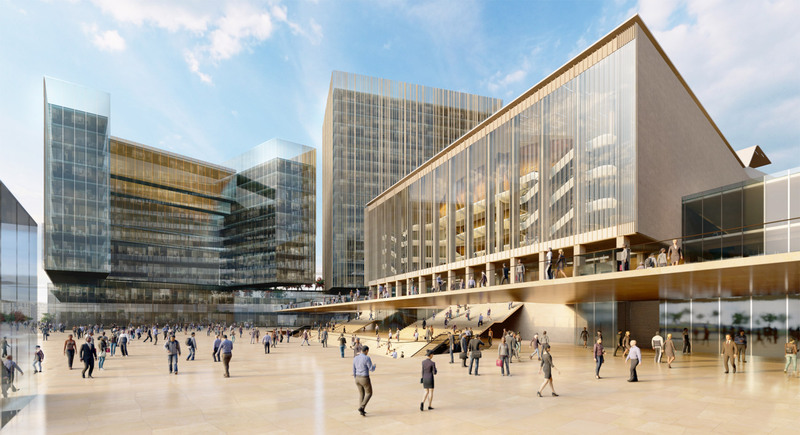 It will be accessed by the ICC plaza, a meeting point also designed by Studio Fuksas to connect the building to the surrounding streets via pedestrian walkways, green spaces and covered routes. There will also be shopping facilities along the ground floor, aligned with the neighbouring main roads. 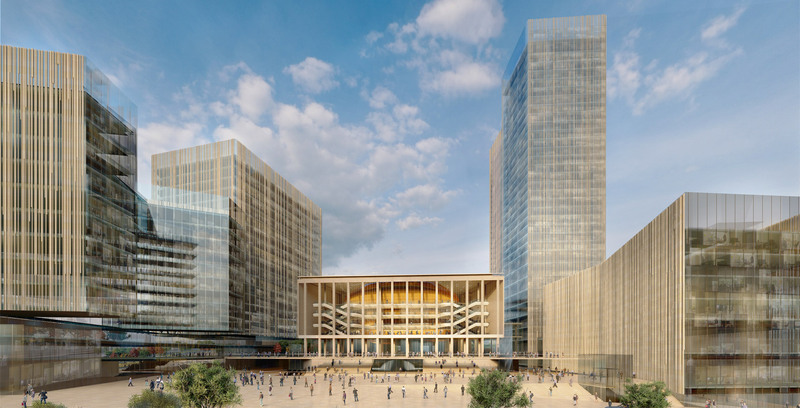 The conference centre forms part of the Jerusalem Gateway Project, which is designed to be “become one of Israel’s most important business quarters” and create 60,000 new jobs for the capital. Studio Fuksas has also designed a 10-storey hotel with 800 rooms, an office building with co-working spaces and two 36-storey “business towers” alongside ICC Jerusalem, as part of the project. It is also set to include Israel’s largest transportation hub, which will have a high-speed train line, two light rail lines, public transit lanes, and bike lanes. Studio Fuksas is an award-winning architecture studio, which has completed more than 600 projects across the world. The studio also recently revealed designs for a “vertical park” on Monaco waterfront, and completed a convention centre and hotel complex in Rome that features an auditorium in a translucent fibreglass “cloud”. The post Studio Fuksas to build “largest conference centre in the Middle East” appeared first on Dezeen.